They are no obvious clues to the circumstances of this person, other than a note in the Church burial register. The entry records that Elizabeth died at her "abode in Loughborough". 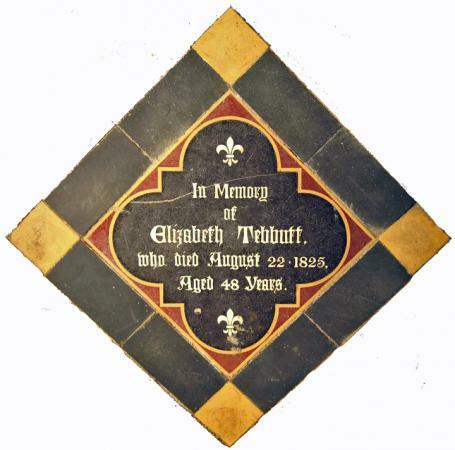 There does not appear to be a record of a baptism in this name around her birth year of 1777, so it may be possible that Tebbutt is her married name. XHTML 1.0 validated. WCAG compliant. Page generated in 0.1017 seconds.